I got an email earlier this week that I was accepted into West Chester’s MA program in history. 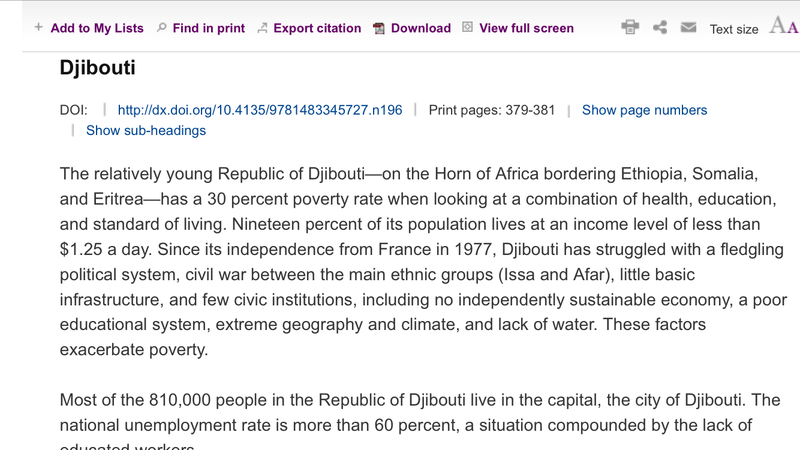 Today I received an email with information on how to get temporary access to the article on poverty inDjibouti I co-authored with Annette Varcoe for the Sage Encyclopedia on World Poverty, volume 2. And my husband and I are finally going to see the new James Bond movie Monday. This post is short, but full of fun news.